"Film composer Tom Holkenborg today launched SCORE Academy, an annual year-long program, created in collaboration with ASCAP, that offers emerging composing talents the chance at hands-on instruction, up-close and personal with one of Hollywood’s most in-demand composers. Tom Holkenborg’s SCORE Academy provides a singular opportunity. Students will be receiving a full-contact curriculum, designed by Tom himself, to educate a new generation of film composers and ready them for the demands of Hollywood. The Academy aims to raise students skill sets to the highest level in all aspects of scoring, sound design programming, music production, music technology and film music business. The course will be offered annually to students for free, furthering Tom’s commitment to providing education resources to emerging composers. Tom already produces and funds the free online tutorial series Studio Time, which over three seasons has amassed a following of over 100,000 YouTube subscribers and given people around the world invaluable insight into Tom’s composition process. Tom also held an Associate Professor position at ArtEZ Academy of Music in the Netherlands, where he created a four year bachelor program called Media Music. Tom Holkenborg is one of Hollywood’s truly unique talents, a full contact composer, renowned for his maverick approach, and mastery of studio technology and instrumentation. 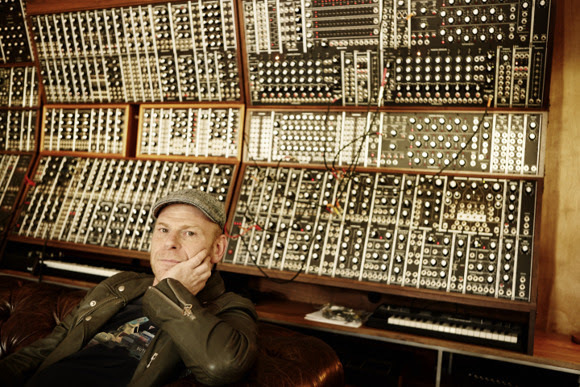 He has over 120 scoring credits in film, video game and television music including Deadpool, Mad Max: Fury Road, Black Mass, Alita: Battle Angel, Divergent and the forthcoming Terminator: Dark Fate. He has worked with directors including Robert Rodriguez, George Miller, Tim Miller and James Cameron and his movies have grossed over $2 billion at the box office.